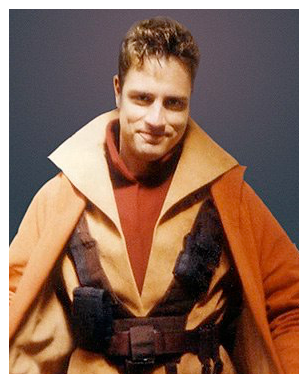 Lieutenant Gavyn Sykes (portrayed by Christian Simpson in ‘Star Wars: Episode I - The Phantom Menace’) served in - and commanded - the Royal Naboo Security Forces during the Invasion of Naboo, later serving as a promoted Captain Sykes at Keren. He was first pressed into combat as ‘Bravo Six’ when the Trade Federation laid siege to Naboo in the year 32 BBY. 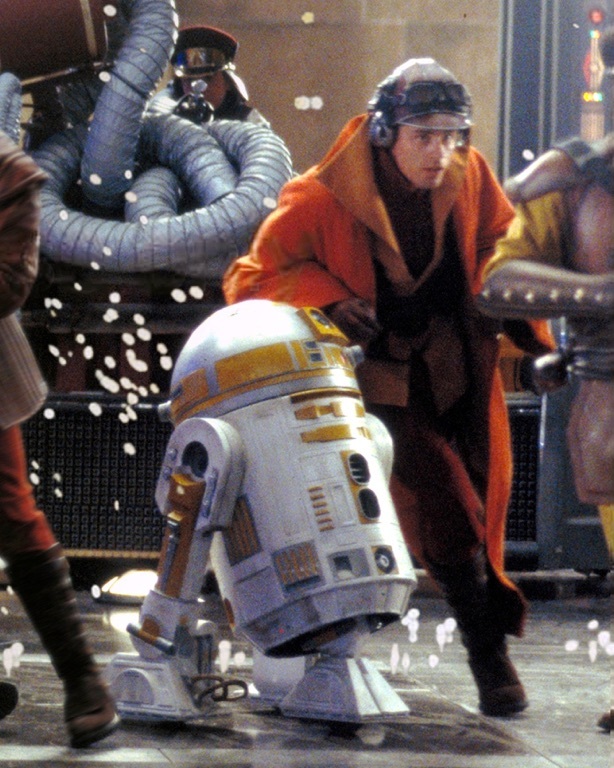 Accompanied by his Astromech droid R2-C4, Sykes participated in the Naboo Space Battle in his N-1 Starfighter where he destroyed the deflector shield and tractor beams protecting the entrance to the enemy Droid Control Ship’s hanger - a pivotal victory which allowed young Anakin Skywalker to destroy the ship from within and so begin his journey down the path to the dark side. There are rumors Sykes may have later perished inside the second Death Star under the call-sign ‘Gold Wing’, protecting Lando Calrissian’s Millennium Falcon shortly before it blasted out of the Death Star’s fiery innards. 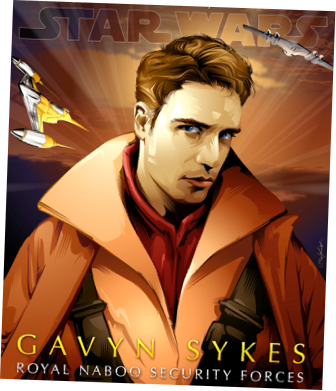 Idealistic and brave, Gavyn Sykes spent much of his youth flying local transports before joining the Royal Naboo Security Forces. Patrolling the secret tunnels and outskirts of the Naboo capital Theed honed his military abilities. droids rounded up and arrested civilians, he was ordered by Kael to not fire on the invaders, except in self-defense. The lieutenant eventually had no choice but to engage the attackers, and Kael reported that he was under attack just near the Security Forces headquarters. Sykes quickly rescued his captain, and the pair made their way through the city streets, in an attempt to escape. They eventually found a pair of STAP-2s, but before they were able to utilize them, they were set upon by an Armored Assault Tank. 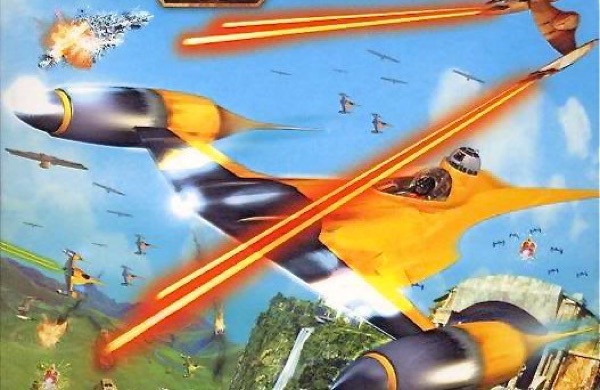 Sykes was able to destroy the tank, however, and joined Kael in using the STAP-2s to escape the city (pictured, Battle for Naboo video game & the Official Starships and Vehicles magazine). "I always thought Flash speeders were only good for joyriding. Then the Trade Federation invaded and I found out why we keep these green genies around. I just closed my eyes, and the next thing I knew, I was ten kilometers away from Theed!" Sith Lord Darth Sidious arranged an encounter by ordering his apprentice Darth Maul to test the ability of the Royal Naboo Security Forces pilots. Darth Maul in his Infiltrator came out of nowhere and attacked two Naboo N-1 starfighters and the delegates on their landing platform on Coruscant. Captain Panaka ordered Lieutenant Gavyn Sykes to drive away the attacker. Sykes succeeded in launching torpedoes from his N-1 starfighter at Darth Maul and drove him away, even though Maul was launching airborne mines at him. where their occupying forces engaged the Gungans. During this mission he was responsible for protecting apparent ally Borvo the Hutt and his vessel on route to a hidden Naboo outpost. From there Captain Kael and Borvo relied on Sykes and his team to destroy the central comm satellite, thus knocking out the communications web of the Trade Federation outpost and enabling a crucial assault upon it. Lieutenant Sykes later thwarted a Neimoidian slaving operation on the banks of a Naboo River, but when Borvo the Hutt revealed himself to be a traitor by killing Captain Kael and attempting to sell the rescued slaves, it was left to Sykes to stop him. Sykes took control of the Royal Naboo Security Forces when Captain Kael was killed, and handed command back to Captain Panaka when he returned safely. "Pleasure knowing you Lieutenant Sykes. You were well trained." 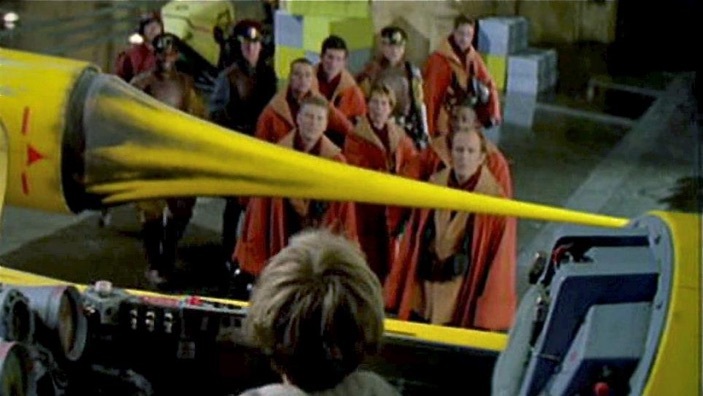 After the Trade Federation imprisoned some of Naboo's most important leaders in the notorious ‘Camp Four’, Sykes was sent to free them and destroy the camp. After this success, he assisted Panaka with Queen Amidala's plan to create a diversion in Theed, allowing the Queen to capture Nute Gunray. 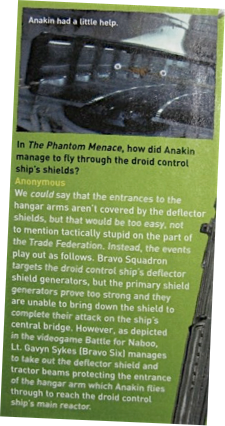 With Bravo Squadron unable to launch their fighters past the Armored Assault Tanks stationed in the Theed Hangar, the young Lieutenant succeeded in destroying them, enabling the allied ships to launch. Sykes was one the pilots who then participated in the Theed hanger battle, where he partnered with Astromech droid R2-C4 (‘Seefour’) to fight his way to a waiting N-1 starfighter. There he joined Bravo Squadron, the force which battled the Droid Control Ship in the Naboo Space Battle, where he was designated the call-sign ‘Bravo Six’. 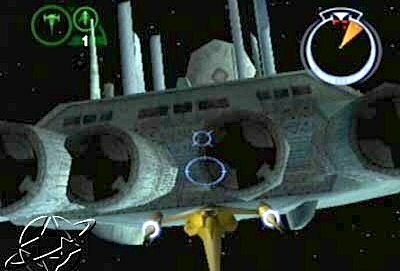 After successfully negotiating the enemy Battle Droids in the Theed hanger, and making it to his starfighter, he and R2-C4 blasted off from the base on Theed, course set for the waiting enemy Nemoidian droid control ship hanging in close Naboo orbit. Reaching the enemy mothership, Bravo Squadron targeted the enemy ship's shield generators, but the primary ones proved too strong and they were unable to bring down the shield to complete their attack on the craft’s central bridge. 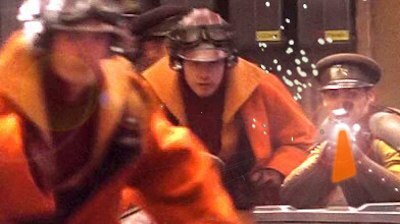 However Lt. Gavyn Sykes as Bravo Six was soon to save the day for Bravo Squadron and the citizens of Naboo. Just as it seemed all hope was lost, Sykes managed to take out the deflector shield and tractor beams protecting the entrance of the enemy ship’s hanger arm, allowing a young Anakin Skywalker to fly inside the ship and manage to destroy it from within. 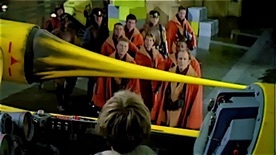 Many Nemoidians were killed when the ship went down at Anakin’s hands, therefore in a way it could be said that Sykes was partly responsible for starting young Skywalker on his journey down the path to the dark side. Little is known of Sykes’ whereabouts during the years immediately following the Battle of Naboo, and some may conclude that he was involved in a long-term undercover mission for the Royal Naboo Security Forces. 35 years later however, and shortly after Anakin Skywalker’s son Luke’s success destroying the Death Star at the Battle of Yavin, Sykes was seen stationed at Naboo’s Keren starport as a promoted Captain Sykes. There, the Royal Naboo Security Forces’ smuggling patrol was dealing with a Gungan smuggling ring attempting to ship animal carcasses off-world. The animals were said to have died of a mysterious disease and the remaining smuggler was still free to continue the illegal trade. Sykes requested help from adventurers on Naboo to aid in his hunt. "I'm Captain Sykes with the RSF's smuggling patrol. This is a long shot, but maybe you could help me. We confiscated animal carcasses from a Gungan smuggling gang that was shipping them offworld. This violates all kinds of regulations. The leader says one smuggler is bringing more carcasses to the drop point. We're short-staffed right now, so I'm desperate. Can you try to stop the smuggler? … Our reports are sketchy, but apparently the animals in question died of some unusual disease. Maybe it's a Gungan ceremonial thing. Will you take the assignment? … Good. I suspected you were made of sterner stuff than you look. This Gungan, Zim Zam Blattis, is known to be armed, so be careful." There are rumors that Sykes may then have been involved in the Battle of Endor (‘Star Wars: Episode VI - Return of the Jedi’) as the X-Wing pilot known only by his call-sign ‘Gold Wing’, and seen flying into the second Death Star with Wedge Antilles, Lando Calrissian and his co-pilot Nien Nunb, on account of keen piloting skills and continued support after the Battle of Yavin (as seen in ‘Star Wars: Galaxies’). 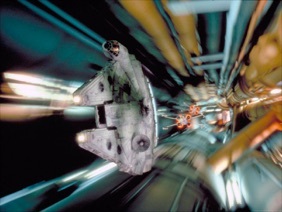 In that assault several Alliance starfighters broke off and doubled back to the Death Star's surface, luring away some of the TIE fighters and leaving Calrissian in the Millennium Falcon, Red Leader Wedge Antilles, and Gold Wing (Sykes) to destroy the reactor (‘Return of the Jedi’ novelization). Gold Wing swooped in behind the other two as the trio of ships homed in on their target (pictured), but this brave protective move left Gold Wing the more vulnerable ship. With Calrissian and Antilles safe, they managed to take out the main reactor, creating a chain reaction that destroyed the Death Star and Emperor Palpatine within it. From a certain point of view, in Star Wars lore whilst Sykes may have unwittingly started Anakin down the path to the dark side at the Battle of Naboo (see above), by protecting Wedge, Calrissian and Nunb, he ensured that the Empire was finally stopped in its tracks, leaving Anakin to save Luke Skywalker and be ultimately redeemed. 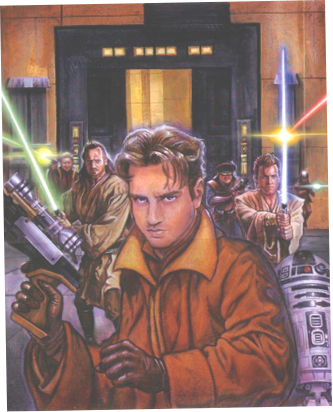 Lieutenant Gavyn Sykes was portrayed by Christian Simpson in ‘Star Wars: Episode I - The Phantom Menace’ (pictured: top-right pilot). After Producer Rick McCallum gave Simpson a credit in ‘Episode I’, he asked Simpson to return and work alongside Hayden Christensen to help bring the Anakin Skywalker / Lord Vader role to the screen on the set of ‘Star Wars: Episode III - Revenge of the Sith’ (2005). Simpson also later returned as a voice actor in ‘Star Wars: Episode VII - The Force Awakens’ (2015) as well as providing the voice of Abednedo X-Wing pilot C’ai Threnalli in Lego Star Wars: The Force Awakens (2016) and other Star Wars projects. 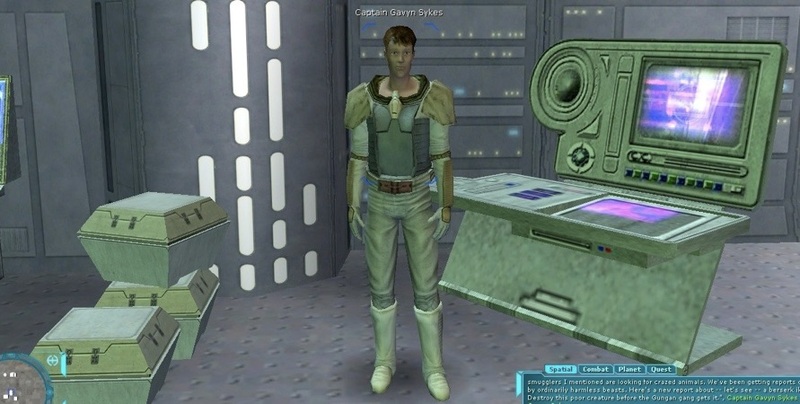 Simpson's likeness is also immortalized as a promoted Captain Sykes in the online video game ‘Star Wars: Galaxies’ aka ‘SWGEmu’ (2003-present) as one of the few Naboo pilots who survived into the Battle of Yavin era. and other official sources. All rights reserved.